The Office of Environmental Education and Public Affairs hosts a guest lecture series called the Lunchtime Discovery Series. Professionals from a wide range of environmental backgrounds come and give presentations about their work and offer an opportunity for attendees to learn about a variety of subjects during the lunch hour. Topics range from spider diversity in North Carolina to Geographic Information Systems (GIS), to how to incorporate music in environmental education programming. The are several taped presentations on a wide variety of environmental topics that can be used in the classroom to supplement existng lessons on ecosystems, natural resources, and North Carolina history. You can sign up for weekly email notifications about upcoming lectures! Contact an office staff member if you have trouble subscribing. Wednesday, April 24 @ Noon – 1:00 p.m.
Wednesday, April 10, 2019, @ Noon – 1:00 p.m.
**This talk will not be livestreamed so make sure you attend in person! Joe Miller has written about outdoor adventure in the Southeast since 1992. He wrote a weekly outdoor adventure column, Take It Outside, for The News & Observer in Raleigh for 10 years, and has written for various online sites including his own website, GetGoingNC.com since 2009. He is the author of three books including 100 Classic Hikes in North Carolina, Backpacking North Carolina and Adventure Carolinas. He leads hiking and camping trips, as well as backpacking excursions. Join us on Wednesday at noon as Joe Miller takes us on a journey to some of the lesser known trails of the triangle and beyond. Wednesday, April 3, 2019, @ Noon – 1:00 p.m. 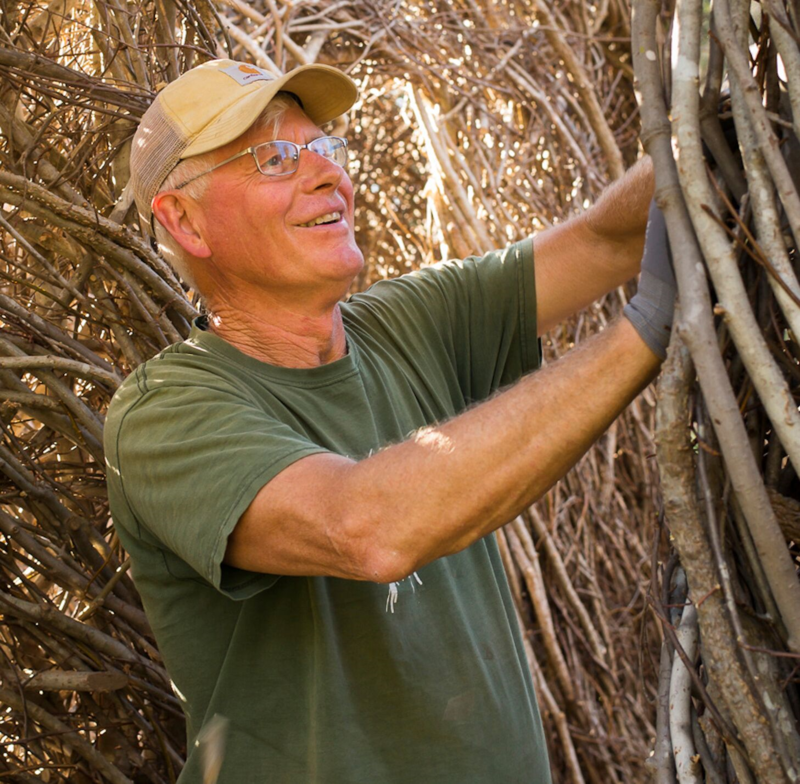 Sculptor Patrick Dougherty will discuss his long career as an environmental artist building sapling sculptures around the world. Wednesday, March 27, Noon – 1:00 p.m.
Join us for a special panel discussion with four women working in the field of Science, Technology, Engineering and Mathematics in North Carolina who will give us a glimpse into their unique experiences and the challenges of working in STEM careers as women. Wednesday, March 20, 2019, @ Noon – 1:00 p.m.
“Here’s to the Land of the Longleaf Pine...” Join us Wednesday as Carolina Beach State Park Superintendent Chris Helms shares a legacy of the naval stores industry in North Carolina and how its legacy lives on in the “Tar Heel” state. Wednesday, March 13, 2019 @ Noon – 1:00 p.m.
Laura Finan, Coordinator of Programs for the North Carolina Museum of Art, talks about what it takes to transform a museum into an indoor garden. Laura developed Art in Bloom with the hopes that it would be repeatable. Now in its fifth year, the event has become a Raleigh tradition and a celebration of spring. Join Laura Wednesday to learn the history and the hopes for this sweet-smelling festival of art and flowers. 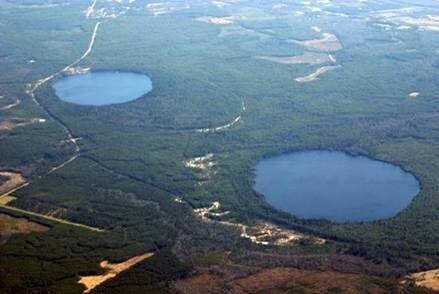 Wednesday, March 6, Noon – 1:00 p.m.
As the Triangle has grown, much of the farmland in our region has been lost to development. How can public-private partnerships meet increased demand for local food and support sustainable agriculture? 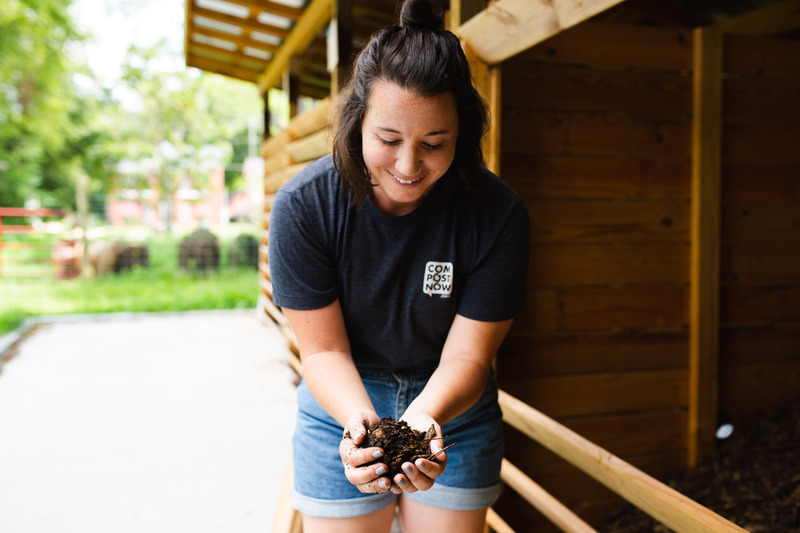 Come learn about Good Hope Farm, a 29-acre urban farm partnership project with the Town of Cary that preserves farmland, opens opportunities to the next generation of farmers and engages the community around agriculture and local food. February 27, Noon – 1:00 p.m. 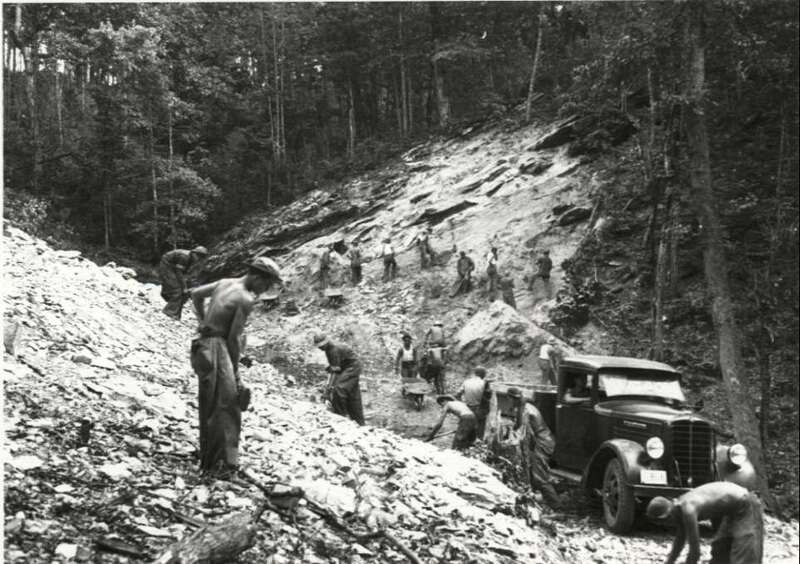 The Civilian Conservation Corps was one of the most popular and successful of President Roosevelt’s New Deal programs during the Great Depression. The work that the Corps did in North Carolina and beyond gave us many state and national parks that are prized for their scenic beauty and diversity of natural resources. Come learn about the events that precipitated the Great Depression, the background and history of the Civilian Conservation Corps, and the legacy that they left us. Wednesday, February 20, Noon – 1:00 p.m.
It’s time to talk trees! On Wednesday we welcome three professors from NC State University’s forestry program. 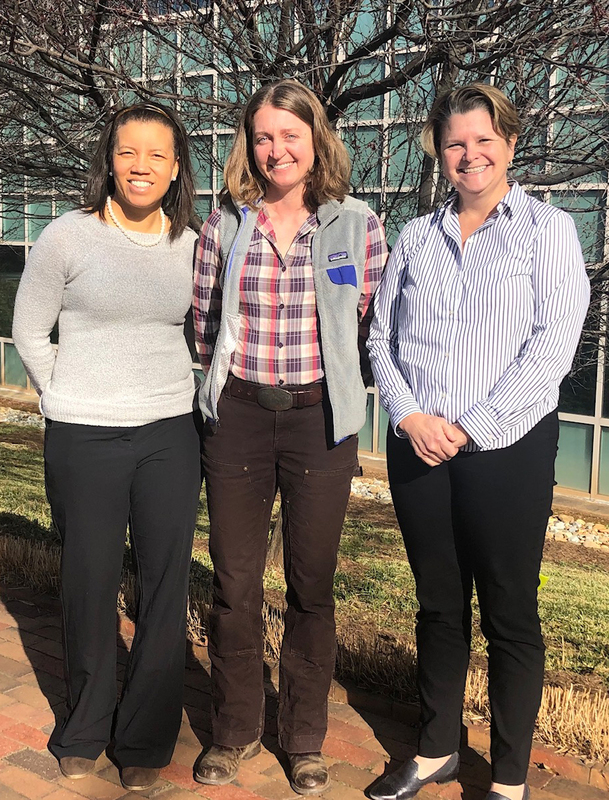 We’ll hear from Dr. Elizabeth Nichols, Dr. Rachel Cook, and Dr. Zakiya Leggett about sustainable forestry and North Carolina’s forestry industry. We’ll also hear an interesting story about using trees to treat wastewater...Join us at noon at the Daily Planet Theater to hear from this knowledgeable tree-o of scientists. Wednesday, February 13, 2019, @ Noon – 1:00 p.m.
Did you ever have a childhood dream of becoming an astronaut? Or maybe you still do... Join us on Wednesday to learn about the future of North Carolina’s aerospace workforce. 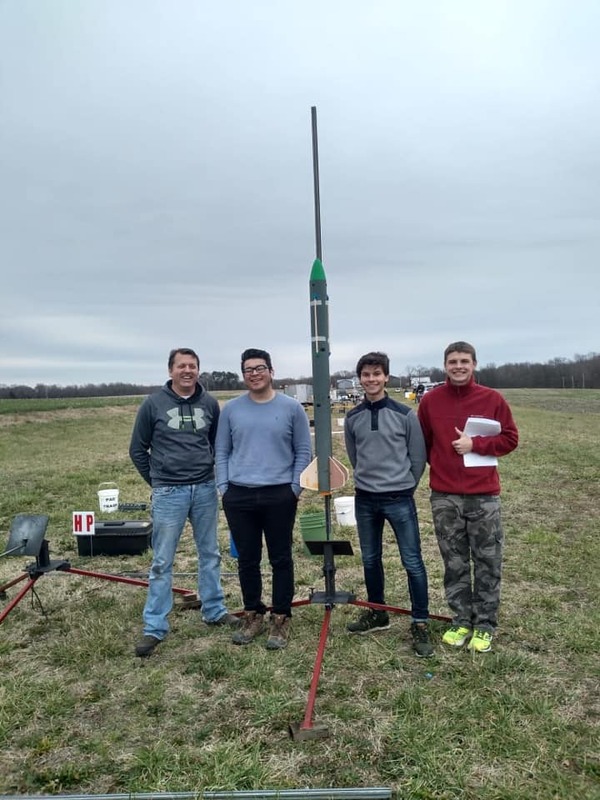 Sandy Canfield, Assistant Director of NC Space Grant, will tell us about Space Grant’s work to support aeronautics and space-related education in North Carolina. Least Brook Lamprey - One of the Least Known of Our Native Fishes in My Backyard and Maybe Yours! Join Jerry Reynolds on a grand safari to his backyard and learn about the Least Brook Lamprey. The Least Brook Lamprey is certainly one of our least known native fishes with a very interesting lifestyle. This will truly be an immersive experience as Jerry goes to great depth to show you their energetic spawning behavior. Wednesday, January 23 @ Noon – 1:00 p.m.
Ben Dictus, Lead Beekeeper for Bee Downtown, a business in Durham that installs and maintains beehives to build healthy bee populations, will join us Wednesday to talk about urban beekeeping - its history and challenges. Ben will tell us more about what Bee Downtown does with urban beekeeping and will compare urban beekeeping to other types of beekeeping. Wednesday, January 16, Noon – 1:00 p.m.
A sizeable number of wildlife species (not just birds) reach the southern limit of their breeding range in the higher mountains of North Carolina. John Gerwin, Research Curator of Ornithology, will “high”-light results from several breeding-bird projects conducted in the Southern Appalachian Mountains. In addition, John will showcase the natural histories of a handful of other species that breed only at the higher elevations in NC. Wednesday, January 9, Noon – 1:00 p.m.
Dr. Paul Hosier, coastal plant ecologist and author of Seacoast Plants of the Carolinas – A New Guide for Plant Identification and Use in the Coastal Landscape will join us this Wednesday to explore the amazing plant life that thrives along the North Carolina coast. 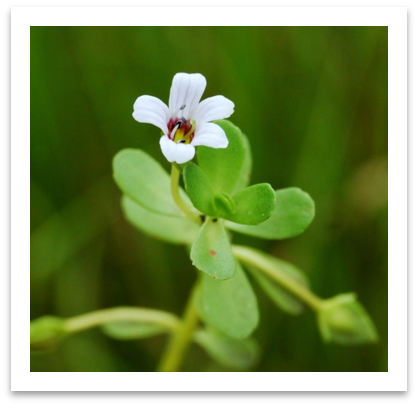 He will highlight our diverse coastal plant community including the five major plants that cover most of North Carolina’s dunes, and the trees, shrubs, and marsh plants that characterize the major ecological zones along the shore. Dr. Hosier will discuss some of the “all too successful” invasive plants along the coast and some of the more interesting and useful plants such as figs and mistletoe. Join us and find out more about the benefits of conserving and landscaping with native plants. Dr. Lee Phillips, Director of Undergraduate Research, Scholarship and Creativity Office at UNC Greensboro, discusses the distribution, timing and origins of Carolina Bays and his research at Jones Lake State Park. This was student-driven research Dr. Phillips cooridnated while on faculty at UNC Pembroke, supported in part by NC Space Grant. Presented on December 19, 2018. Wednesday, December 13th, Noon – 1:00 p.m.
A native of the North Carolina Sandhills, photographer Todd Pusser has traveled the globe in search of wildlife. His photographs have earned awards in prestigious international wildlife photo competitions and are published in books, calendars, and magazines around the world. Though Todd photographs everything from blue whales to penguins, he has a soft spot for the wildlife of North Carolina. In his talk on December 12, he will discuss a wide range of topics from 20 years of exploring his home state’s biodiversity including his adventures photographing sharks off the NC coast, snorkeling with hellbenders in mountain streams, and photographing fox squirrels near his childhood home. To see more of his work please visit www.ToddPusser.com. Wednesday, December 5th, Noon – 1:00 p.m.
What’s a workday like for a “pest detective?” Join Dr. Matt Bertone, entomologist with N.C. State University’s Plant Disease and Insect Clinic, as he shares some of the intriguing and entertaining questions and cases he’s fielded while helping farmers, gardeners and homeowners with their arthropod mysteries. Wednesday, October 28, 2018, @ Noon – 1:00 p.m. Imagine diving head-first underwater in a North Carolina estuary…. You think it will be peaceful and quiet once you jump in, but instead are greeted by a cacophony of fish and invertebrate songs. The Marine Ecology and Conservation Lab at NC State University is listening to these songs to help decipher who, when, and why species are using underwater habitats. Please join us to find out: what can we learn by eavesdropping on these choruses? Wednesday, November 14, 2018, @ Noon – 1:00 p.m. 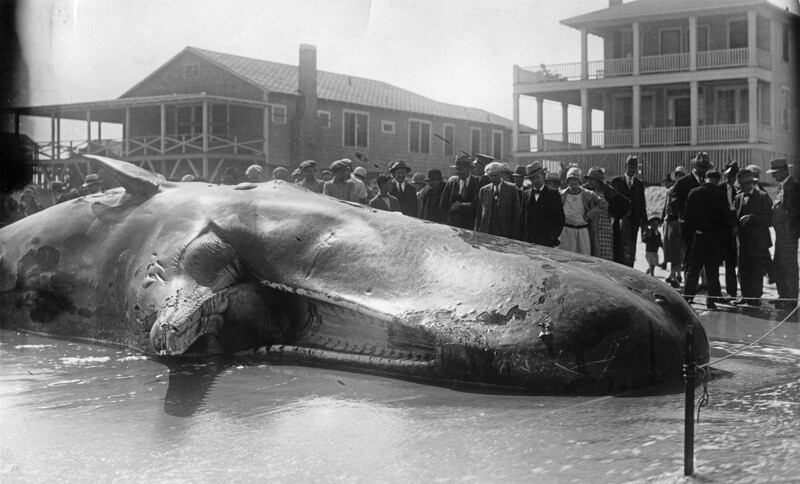 There are over 80 species of whales, dolphins, and porpoises around the world and with those species come many scientific questions. Photo identification is one way that these animals are studied in a non-invasive manner. 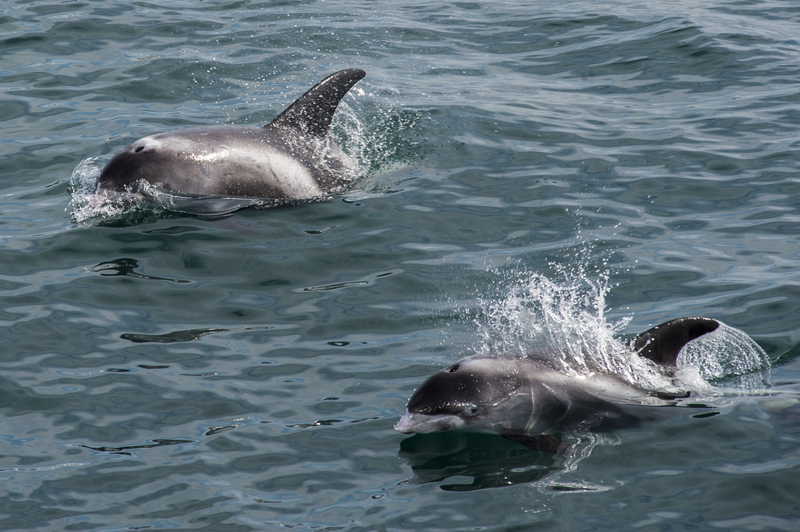 When these marine mammals come up to breath we take photos of their dorsal fins and flukes to identify them. That information can then be used to answer questions about population counts, habitat associations, group associations, and much more. Wednesday, November 7, 2018, @ Noon – 1:00 p.m.
Camden Street Learning garden is more than just a green space. This garden was started to serve the community of Southeast Raleigh, and it's grown a cornucopia of programs to accomplish that service. Wednesday, October 31, 2018, @ Noon – 1:00 p.m.
Parasites are integral member of communities; however, because they are small and often hidden, they can be forgotten in community studies. 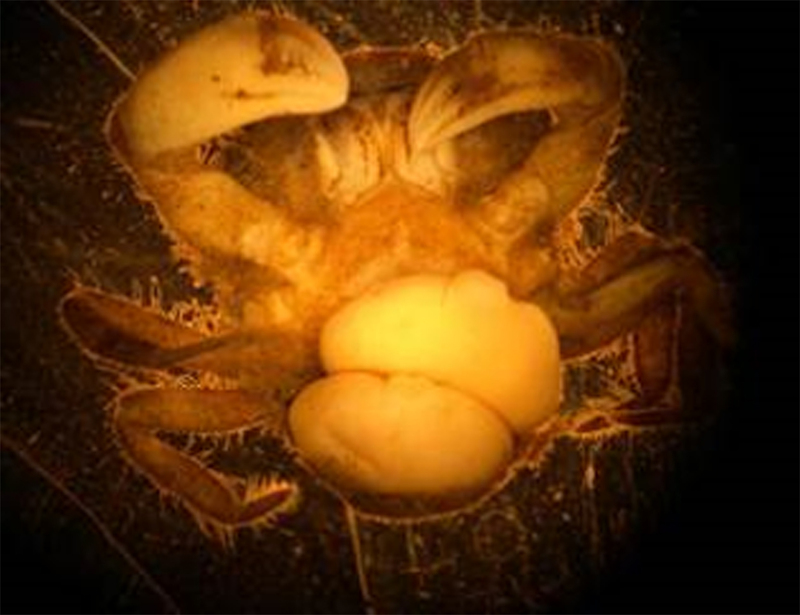 Yet parasites can have profound effects on their hosts and even the ecosystem at large. 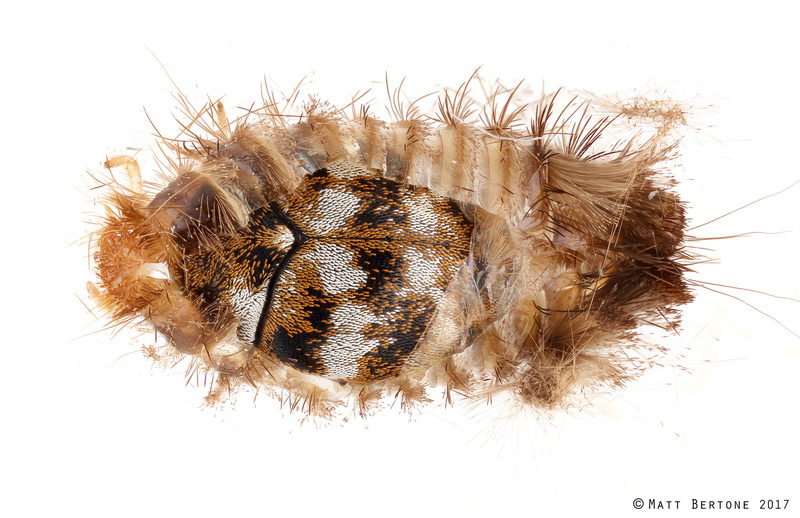 Here, I demonstrate some of the fascinating influences that parasites have on hosts—including the creation of zombies! Wednesday, October 24, 2018, @ Noon – 1:00 p.m.
Get up close and personal with some of the intriguing historical photographs featured in this exhibit, which encourages visitors to look closely at old photos and ask questions about them. Why does this woman have a chicken on her head? What would cause a whole town to want to have their picture taken with a tree stump? Join us to find answers, or ask your own questions. Wednesday, October 17, 2018, @ Noon – 1:00 p.m.
Owls are known as symbols of wisdom and magic. Gain some wisdom about our local owl species, and discover the magic behind their unique adaptations and natural histories. Did you know that great-horned owls prey on other owls? 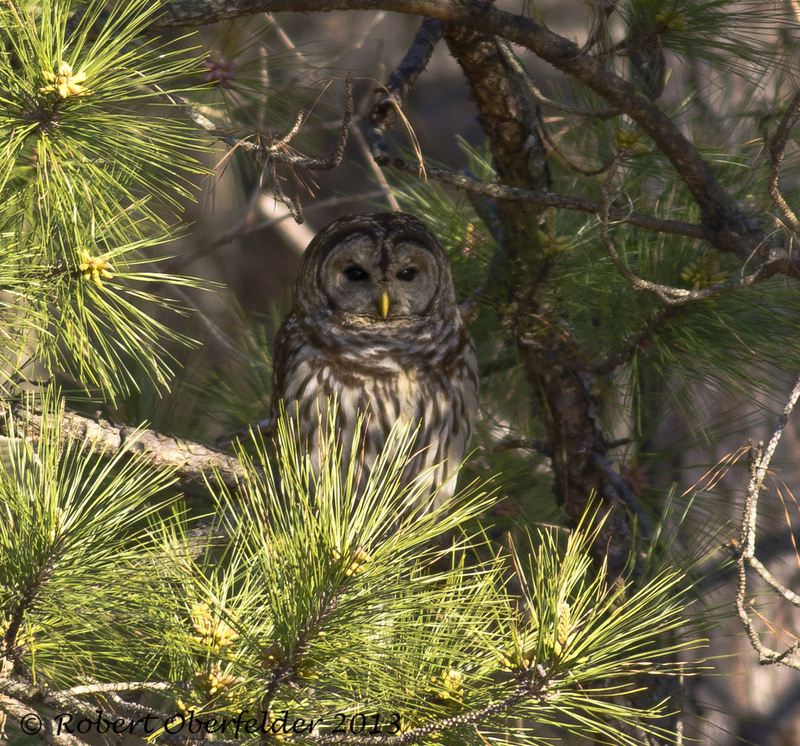 Which North Carolina owl species is declining in northern states? Get the answers to these questions and many more! Wednesday, October 10, 2018, @ 11:30 a.m. – 1:00 p.m.
Have a compost bin that not's doing what you expected? 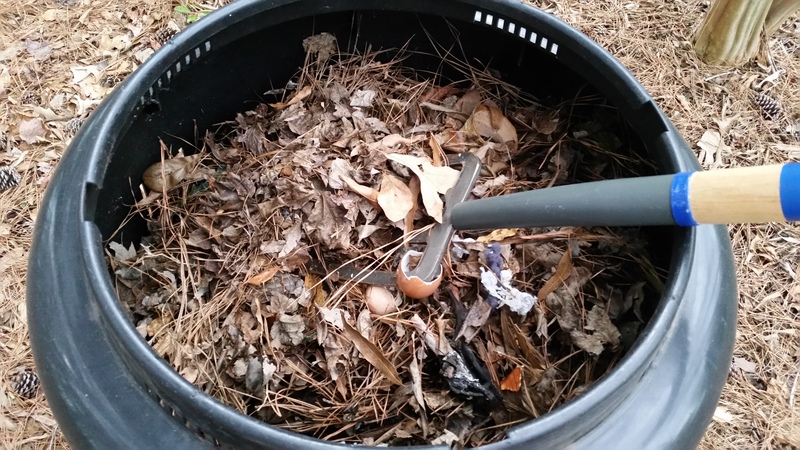 Want to start composting but don't know how? Learn how to successfully compost food scraps, yard debris, and 100 more items. Rhonda Sherman’s areas of expertise are vermicomposting, composting, recycling and waste reduction. She gives about 40 presentations annually and has authored over 65 publications on these topics. Considered a leading authority on vermicomposting, Rhonda has received inquiries from people in 110 countries and taught composting and vermicomposting in Guyana, Dominican Republic, Argentina, Chile, and throughout the United States. 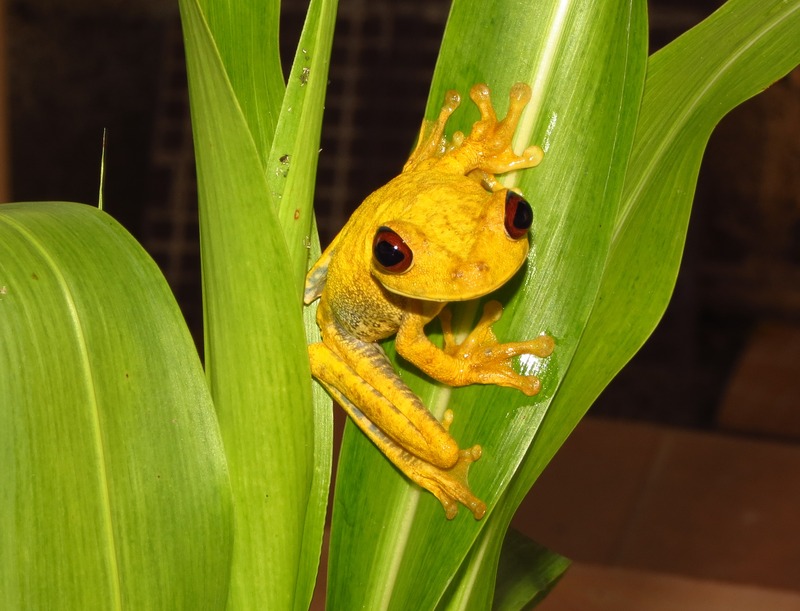 Wednesday, October 3, 2018, @ Noon – 1:00 p.m.
Join us Wednesday as herpetologist and naturalist Alvin Braswell takes us on a journey of the critters who inhabit the islands of Trinidad and Tobago, the southernmost nation in the Carribean. We will explore the geography and geologic and natural history of Trinidad and Tobago while learning about the complexities of the current faunal composition of the islands. Wednesday, August 29, 2018, @ Noon – 1:00 p.m.
and builds healthy soil with local collection service, CompostNow! Wednesday, August 22, Noon – 1:00 p.m. Learn more about Allison Woods Outdoor Learning Center and see a demonstration of one of their amazing dogs in action! 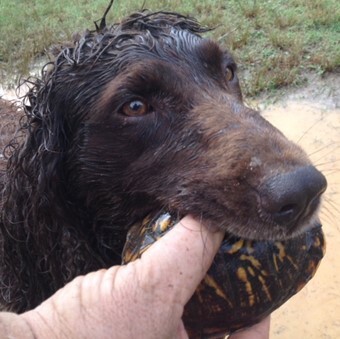 The “Turtle Dogs” of Allison Woods Outdoor Learning Center work with instructors to educate students about North Carolina’s official state reptile, the Eastern Box Turtle. These dogs are specifically bred and trained to aid in research and field studies of turtles (endangered and threatened species) and to retrieve them, bringing them to their handlers unharmed for documentation. The dogs are used in both research and field trip programs and are recognized nationwide by conservationists and preservationists alike. Seen on Animal Planet’s Dogs 101, PBS, UNC-TV and numerous magazines including an upcoming issue of Field and Family, they are a one of a kind program that students and adults love! Dr. Patrick Treuthardt briefly discusses the history of how we "discovered" the Milky Way and our place in it. He explores our galaxy's structure, supermassive black hole, dark matter halo, origin, and eventual fate. 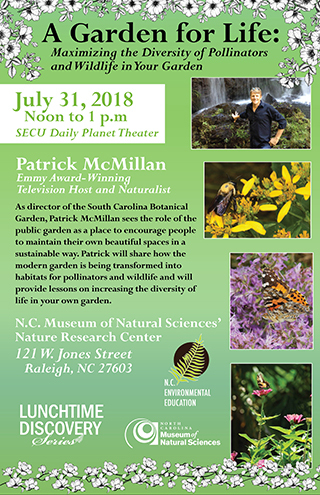 As director of the South Carolina Botanical Garden, Emmy-Award-winning television host and naturalist Patrick McMillan sees the role of public garden as a place to encourage people to maintain their own beautiful spaces in a sustainable way. Patrick shares how the modern garden is being transformed into habitats for pollinators and wildlife, and provides lessons on increasing the diversity of life in your own garden. Wednesday, July 25, Noon – 1:00 p.m.
How can environmental education become a tool forenvironmental justice? Dr. Bethany Cutts from NC State University leads an interactive seminar in which participants (1) examine the many ways thatenvironmental injustices have been created in the US, (2) get a whirlwind introduction to social movement and policy responses to environmental justice that have emerged over the last thirty years, and (3) think about how to implement models of environmental education well-suited to reducingenvironmental disparities affecting the health and well-being of many minority and low-income communities. Citizen science projects have taken the opportunity to capitalize on the popularity of social media and have become important tools for collecting species data. Although citizen science is more common within the birding community with projects such as the Christmas Bird Count and e-Bird, fewer projects have focused on amphibians and reptiles. Recently, however, there has been an increase in herp-related citizen science projects, such as HerpMapper, iNaturalist, and the Terrapin Tally. Join us Wednesday at noon as we discuss these projects and explore the data obtained through them. We will also examine the value of some longer-running citizen science projects such as the Carolina Herp Atlas and the North Carolina Calling Amphibian Survey Program. Wednesday, July 11, 2018, @ Noon – 1:00 p.m.
Anna Windle explains what her research has discovered about light pollution and the nesting behavior of sea turtles! Artificial nighttime light has detrimental impacts on nesting sea turtles and sea turtle hatchlings. Nesting sea turtles appear to avoid brightly lit beaches and can turn back to sea prematurely when exposed to artificial light. Sea turtle hatchlings often travel towards bright artificial lights instead of reaching the ocean. 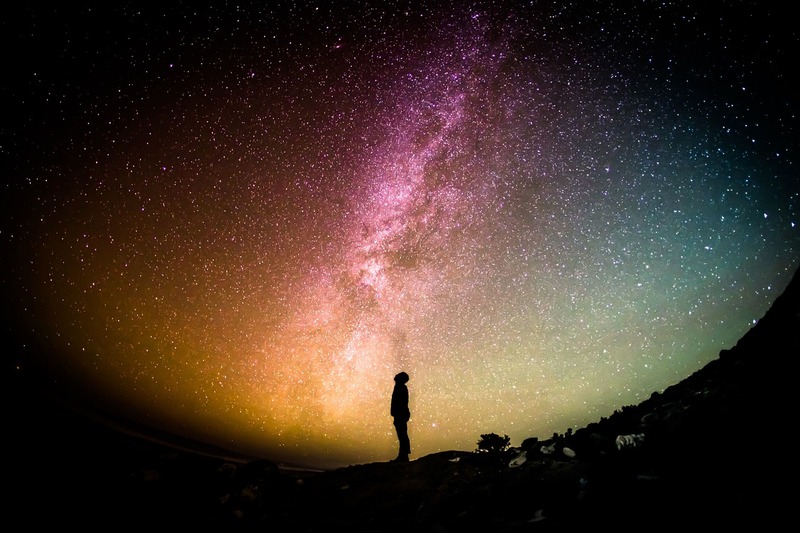 Light pollution has been quantified using a variety of methods; however, it has proven challenging to make accurate measurements of ambient light at fine scales and on smaller nesting beaches. Using an autonomous terrestrial rover, high-resolution light measurements were collected from a sea turtle’s perspective and analysis showed significantly different nesting densities in different areas of the beaches from varying light levels. The movement and aesthetic of Afrofuturism has been defined by many and operates around science-fictional identity and visioning. We will journey into some of its realms in music, film, literature, visual art and environmental science. Starting with film and the now popular cinematic "Black Panther," this informative lecture will leave you in awe. Darrell Stover, North Carolina State University. Sharks are often thought of as creatures of the open ocean or the coast, but many species regularly visit or spend a large portion of their lives in estuaries. Hosting the second-largest estuarine ecosystem in the continental United States, North Carolina provides ample habitat for a variety of shark species. 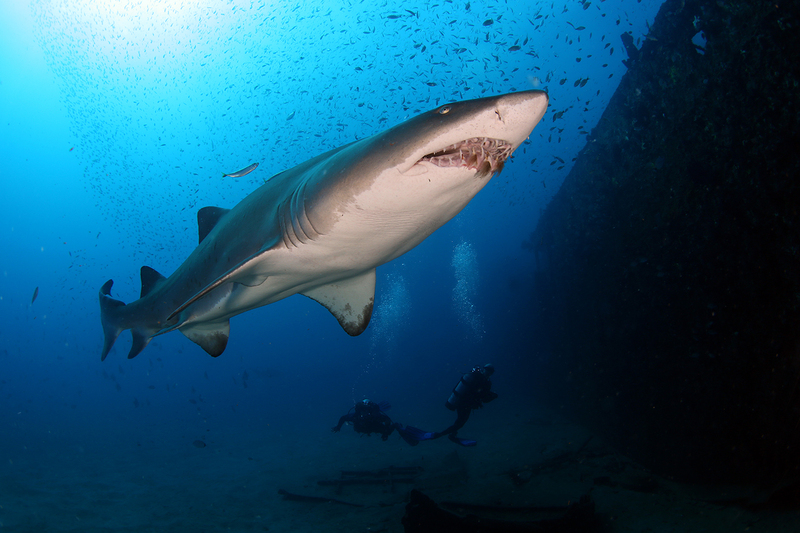 However, dependence on estuarine habitats also puts sharks in close proximity to humans. Dr. Charles Bangley introduces us to the shark community of North Carolina’s sounds and shows how scientific surveys and tagging technology might help us coexist with these important predators. The North Carolina Aquariums, with support from the N.C. Wildlife Resources Commission and the U.S. Fish and Wildlife Service, have a long history of sea turtle rescue, rehabilitation, release and conservation education. Hap Fatzinger, Director of the North Carolina Aquarium at Pine Knoll Shores highlights how sea turtles are being saved from extinction through collaborations with their conservation partners. Dr. Matthew Booker uses the intertwined histories of humans and shellfish to explore changes in American eating habits, urbanization, and a shift towards industrial agriculture that’s been going on since the mid-19th century. Most people encountered modern life through their food and drink, both of which became the focus of consumer fear and governmental regulation. 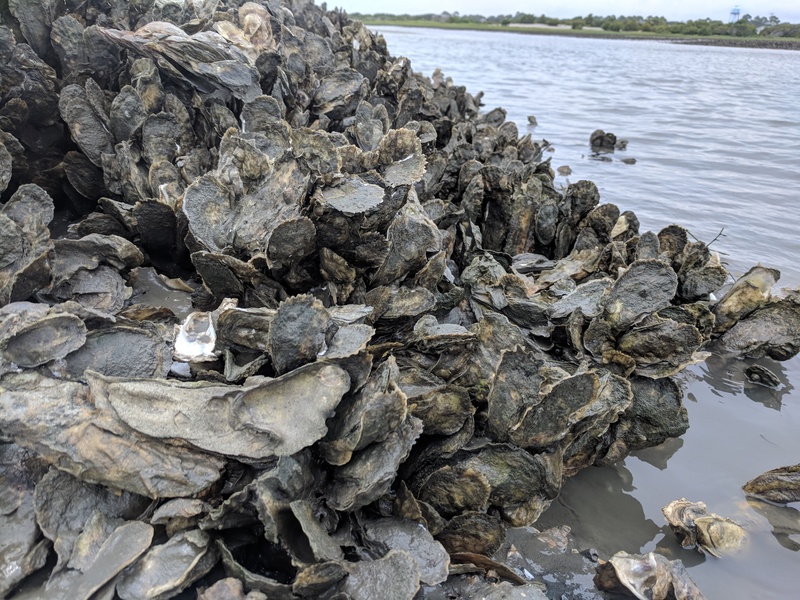 This talk will use a forgotten urban staple, oysters, to explore the risks of industrialization and the profound consequences of environmental protections in the early twentieth century. What kind of sharks live along the North Carolina coast? Where and when do these sharks travel near our state? Join us to learn about the research being conducted by OCEARCH, an organization generating critical scientific data related to tracking (telemetry) and biological studies of keystone marine species such as great white and tiger sharks. Our speaker will introduce us to the Global Shark Tracker, which allows the public to track and learn about sharks in near real time for free. This science cafe is brought to us through a partnership with the Department of Environmental Quality and the NC Aquariums. The Amazon River? The Deep? The Eno or the Colorado or the Yangtze? Perhaps the Yukon, Limpopo or the Seine? Which rivers have wound their way into your heart? Steve Bevington will explore rivers as they meander out of ancient hills through our shared experiences and into the sea. The North Carolina Museum of Natural Sciences has a wealth of videos of their Science Cafes, LIVE feeds, and special events can be used to enhance your curriculum. These are archived on their Facebook page.